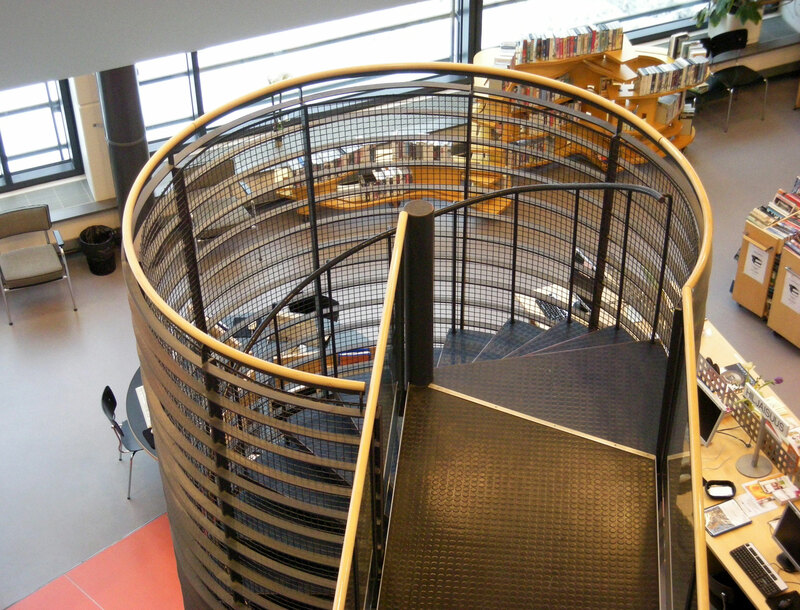 The library has been designed to be the parlour of the residents of Vihti. 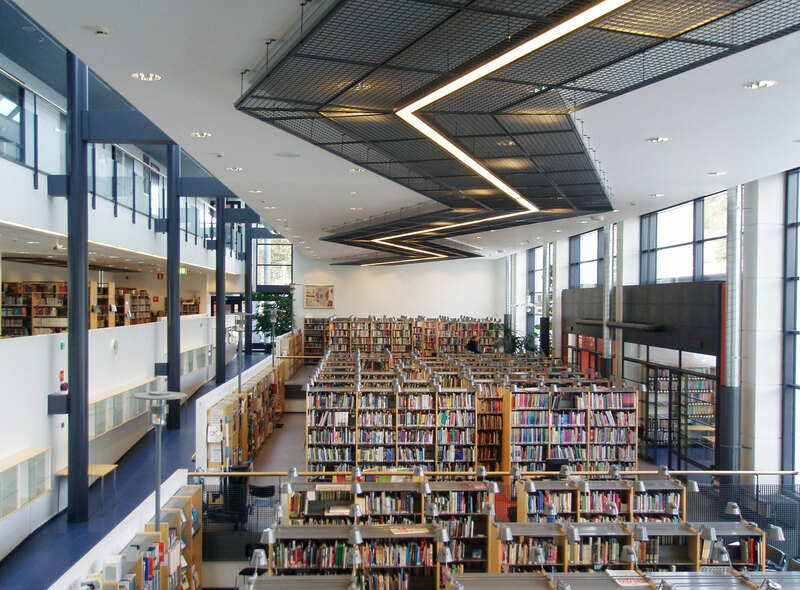 Two of the three floors are open for the public. 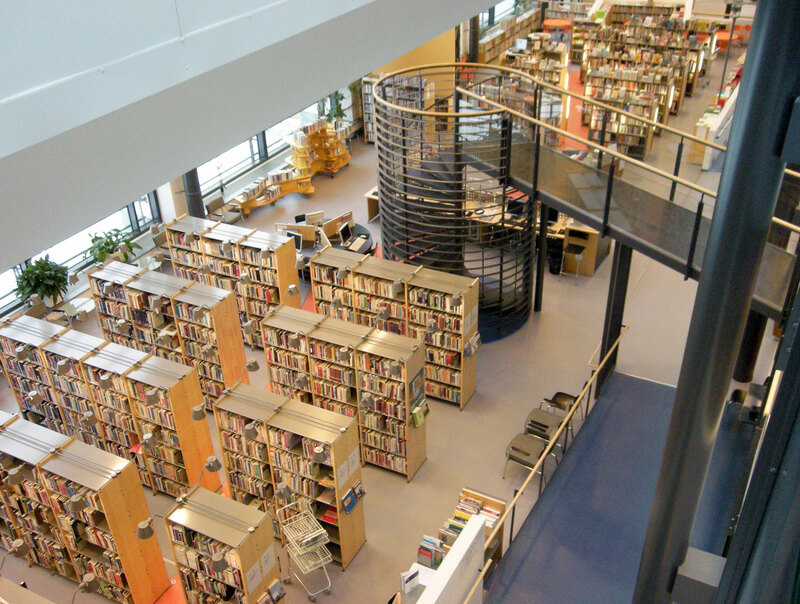 The main floor is divided into different levels: the circulation desk and reference service, adults' fiction and non-fiction and the children's department. The music department and the youth department are on the 2nd floor. 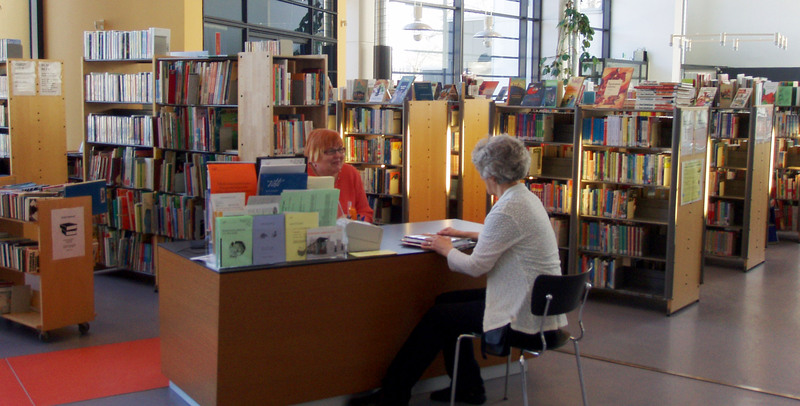 The library offers reading and team-work rooms for quiet work, a newspapers and magazine reading room, two conference rooms and a children's story corner. 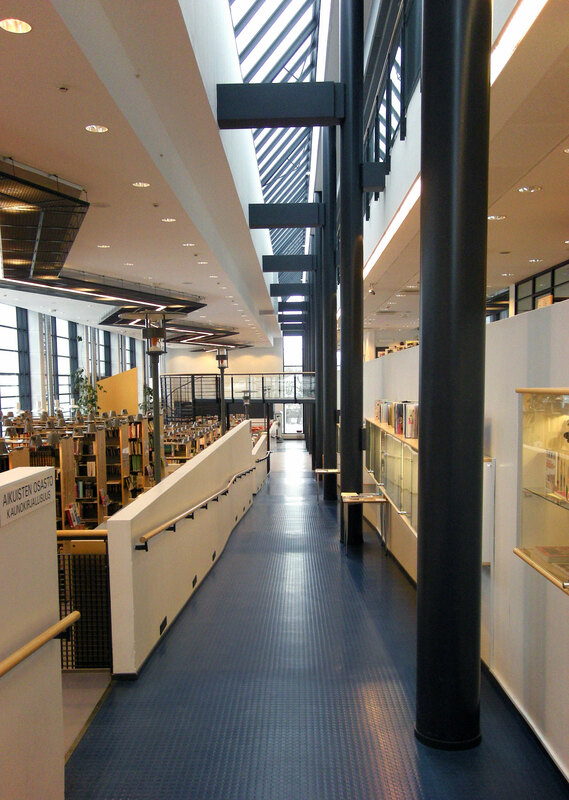 The library also offers exhibition space with display racks and glass cases. The staff offices are mainly situated on the 3rd floor. The interior solutions make the customer floors open to the nature outside and fill the space with natural light. 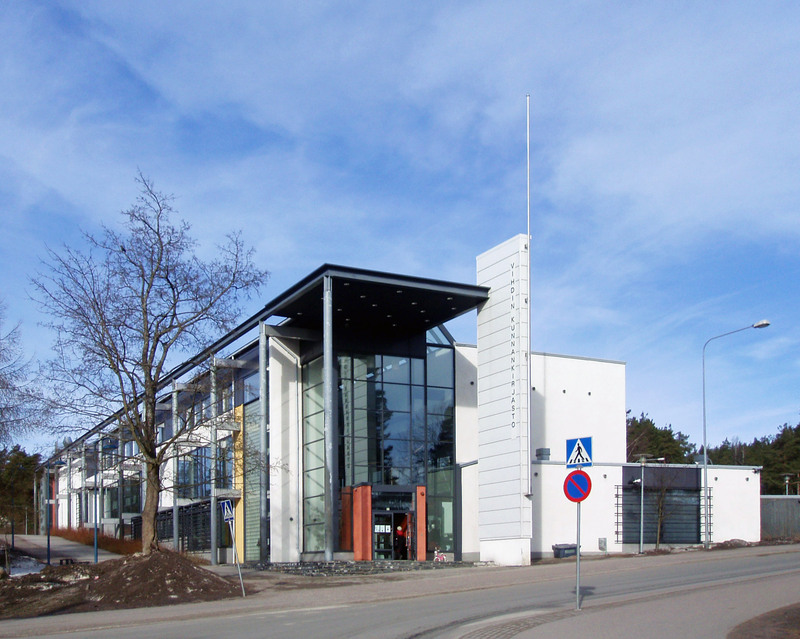 The Municipal Library of Vihti (main library) named "Agricola"
In a central location in Nummela, (Pisteenkaari 9, 03100 Nummela), the library is located near the market place. The building has been beautifully landscaped. Architectural office Hannu Jaakkola. 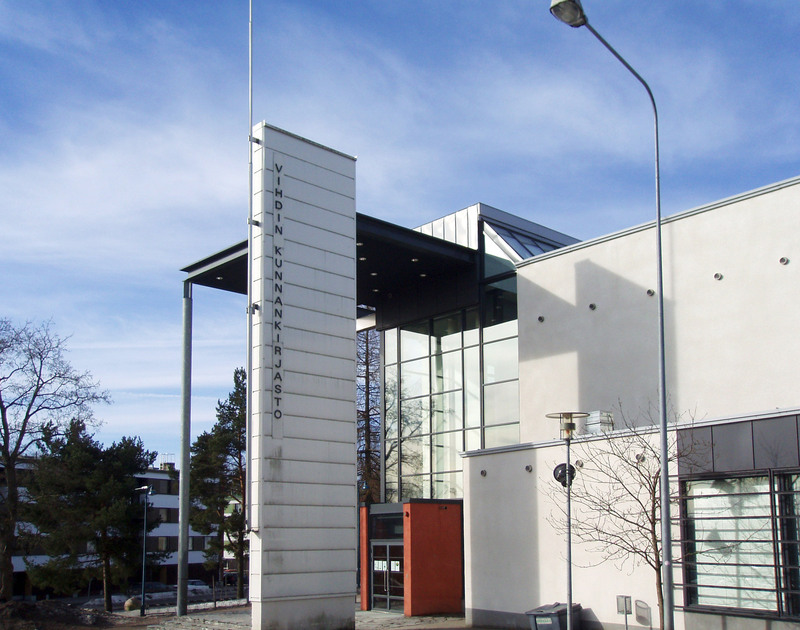 The building project was carried out as a modification of the original Agricola proposal of Hannu Jaakkola and Tapani Kerttula. The proposal won the first prize in an architectural competition held in 1990.